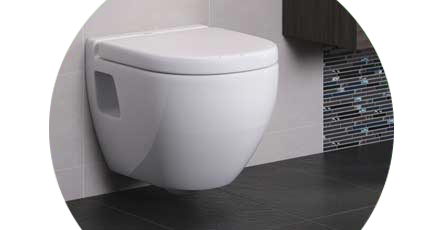 We stock a variety of stylish wall hung toilets. These items are compact and ideal for use in smaller bathrooms and cloakrooms where a short projection can make a lot of difference to the overall space. We also stock mounting frames for both modern and traditional styles too! The reduced depth and smooth, streamlined styles of our compact wall hung units not only saves you space and looks great, but allows you to keep things clean and easy to maintain too. Product looks just like it?s picture. Not yet installed but assuming it?ll be well used by the family. Very prompt delivery and good customer service. Great product and arrived really quickly. Which is a really good thing when this idiot smashed the first one by dropping it ? ?